We’ve been busy adding new product options! Currently you can launch 50+ print-on-demand products instantly in the Teespring Launcher. But did you know we’ve also started rolling out 15+ new all-over print and embroidery products too? Check out some of the new items we’ve released so far! 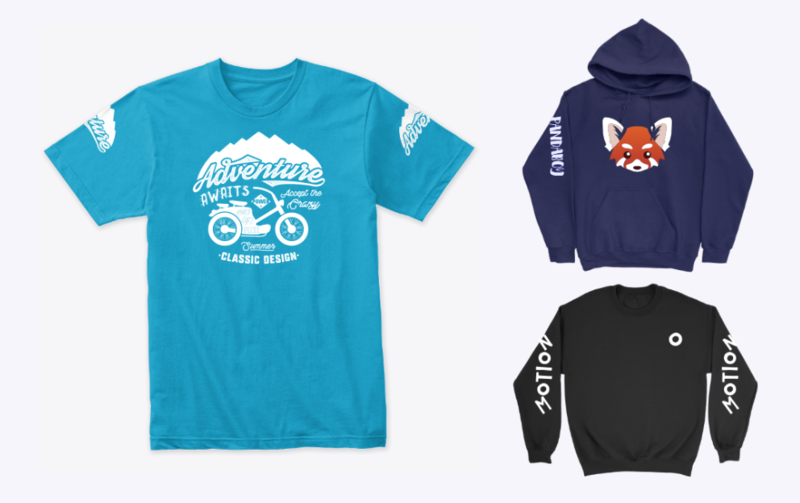 If you’re not seeing these new products in the Teespring Launcher yet – don’t worry! We’re rolling out access to users little by little. A good way to increase your chances of unlocking new products is maintaining a good trust score and increasing your sales. Once you’re granted access, we’ll notify you via email. Learn more about these exciting new products below. All-over print unisex tees are quickly becoming the hottest selling product of 2019. 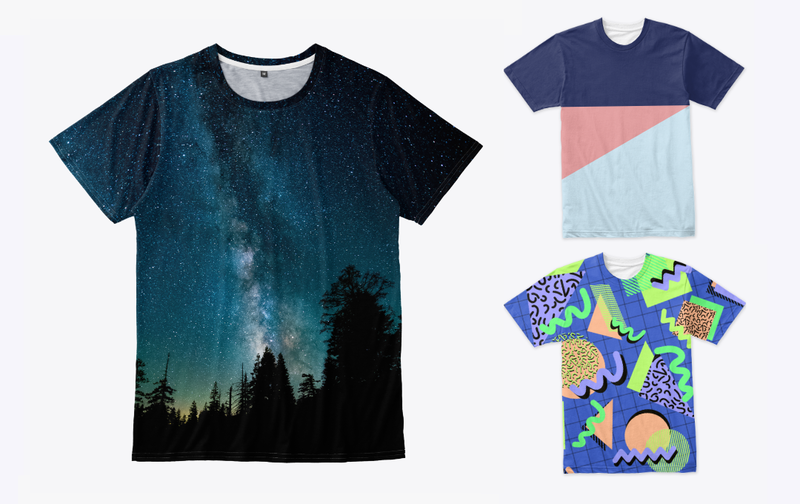 Using a printing process of sublimation, our all-over print tees feature designs that are pressed directly into the fabric for a long lasting, vibrant print. Cut and sew assembly ensures the shirts are customized from raw fabric as opposed to being mass-produced. This product boasts both high quality and high profit margins. 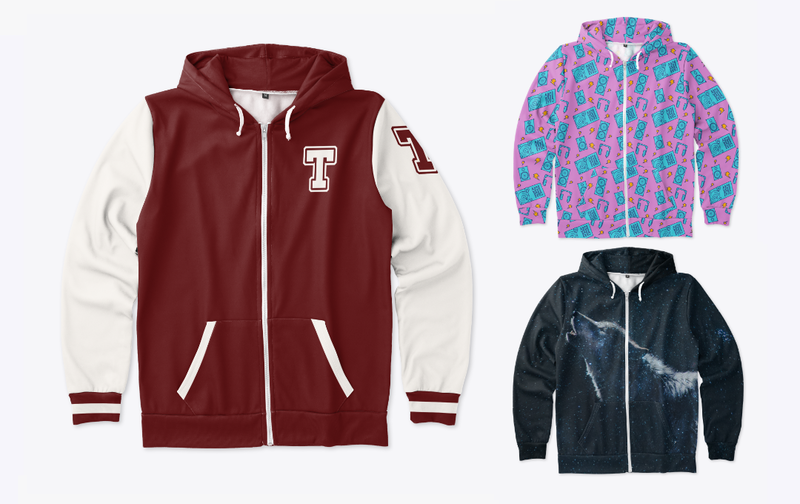 Following the success of all-over print unisex tees, we added all-over print zip hoodies to our Teespring launcher in February 2019. Just like all-over print unisex tees, these hoodies are printed using sublimation and assembled in the U.S.A. using a cut-and-sew method. Made from 100% polyester 2-way stretch fleece, these hoodies are both comfortable and high quality. We’re rapidly expanding our sublimated product offering at Teespring. 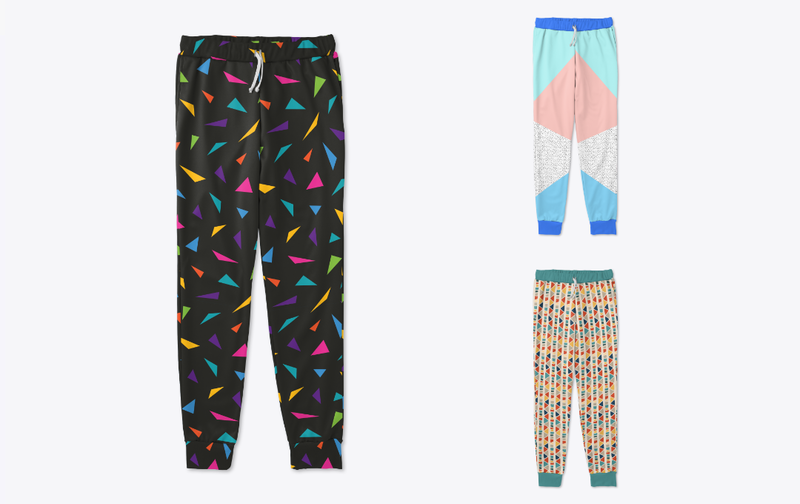 All-over print joggers are made from 100% polyester and feature single-sided wind armor for a warm and comfortable fit. Made entirely in the U.S.A. using cut-and-sew assembly, these joggers also include draw cords and side pockets. Combine joggers with all-over print tees and zip hoodies for a totally custom look! 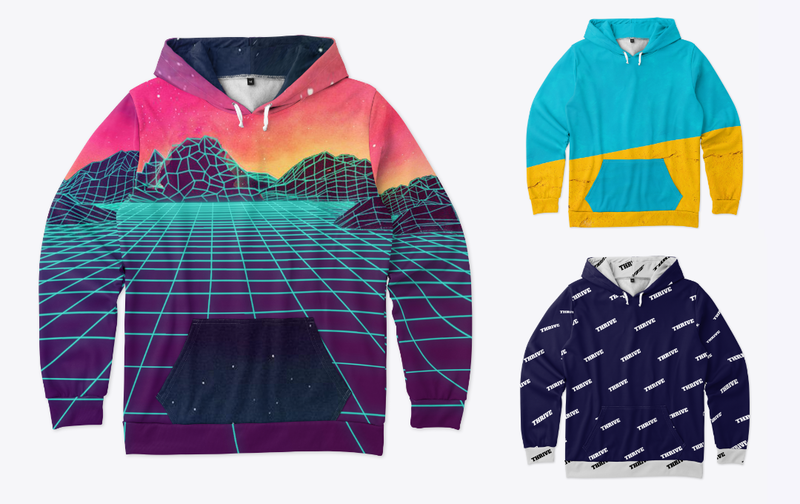 These all-over print hoodies are just like our all-over print zip hoodies! Made from 100% polyester 2-way anti-piling stretch fleece, this product boasts $10.00+ profit margins when sold at our recommended price of $45.99. Printed using sublimation for a vibrant, clear, and high-quality print. 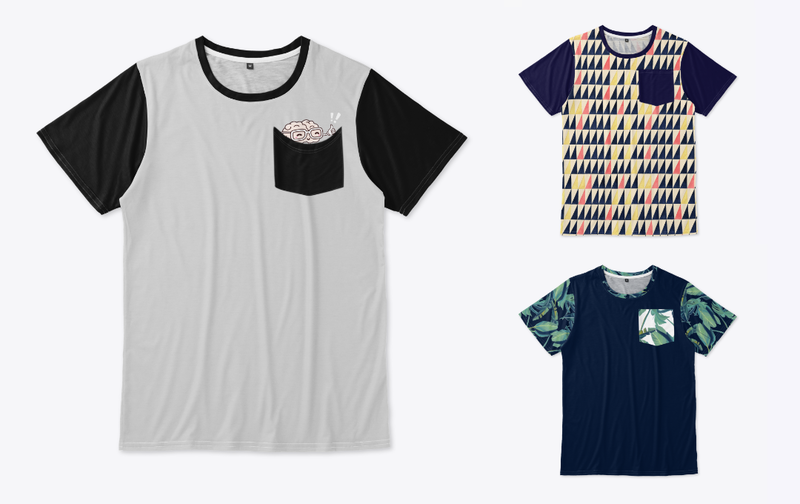 All-over print pocket tees are a seller favorite at Teespring. These tees are printed, cut, and assembled in the U.S.A. and made of 100% polyester jersey for high quality comfort. One of our favorite features of this product is the ability to create “hidden” designs in your tee’s pocket, having a completely customizable interior and exterior. All-over print sports bras make an excellent bundle package. Now, sellers can boost sales by combining this product with Teespring leggings or duffel bags for a complete “athleisure” look. 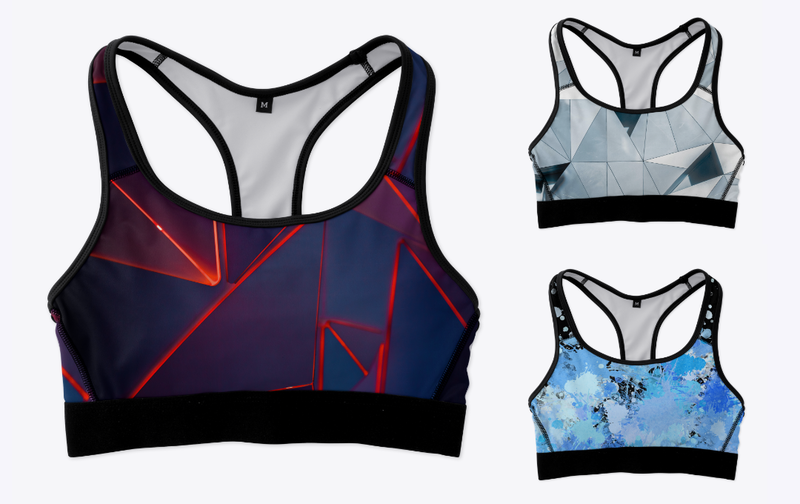 These sports bras are printed using sublimation, assembled using the cut-and-sew method, and are made of breathable spandex and ultrasoft perfotek. 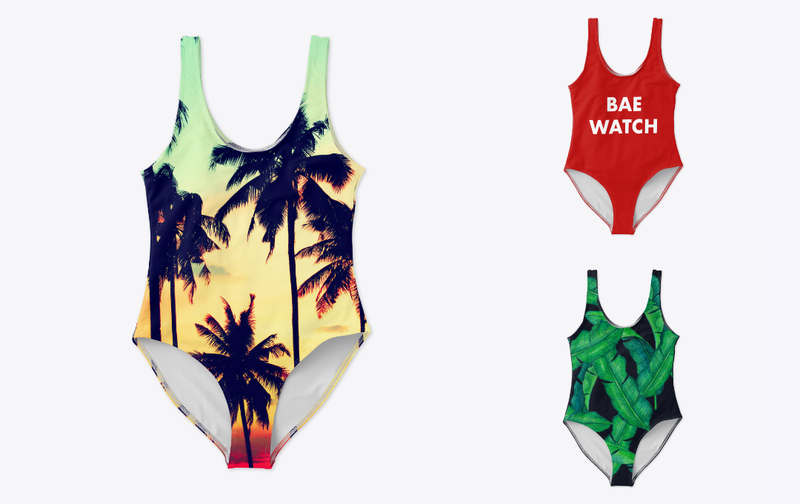 With the introduction of all-over print women’s swimsuits, we’re launching a brand new category at Teespring—swimsuits! Jump start your summer sales with these sublimated suits, and bundle with a beach towel to pump up your listing. These suits are made of ultrasoft perfotek for durable athletic use, and made in the U.S.A. Both buyers and sellers are loving the new die cut stickers. Made with calendar vinyl and pressure sensitive adhesive, our die cut stickers offer some of the highest quality and longevity in the business. 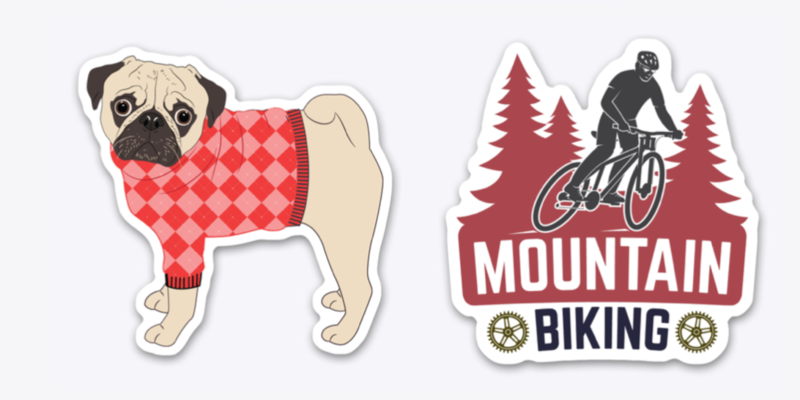 Use our design template to create a completely customized sticker up to 5”x5” in size. 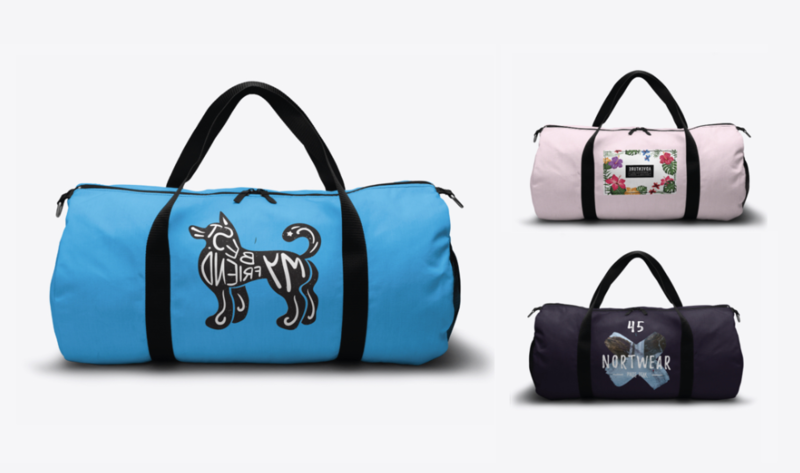 To further diversify our product offering, we added five new do-it-all bags to the Teespring Launcher. These included tote bags, backpacks, duffel bags, drawstring gym bags, and cinch sacks. Each bag features all-over print (sublimation print) and is made from polyester variations to ensure a lightweight and durable product. 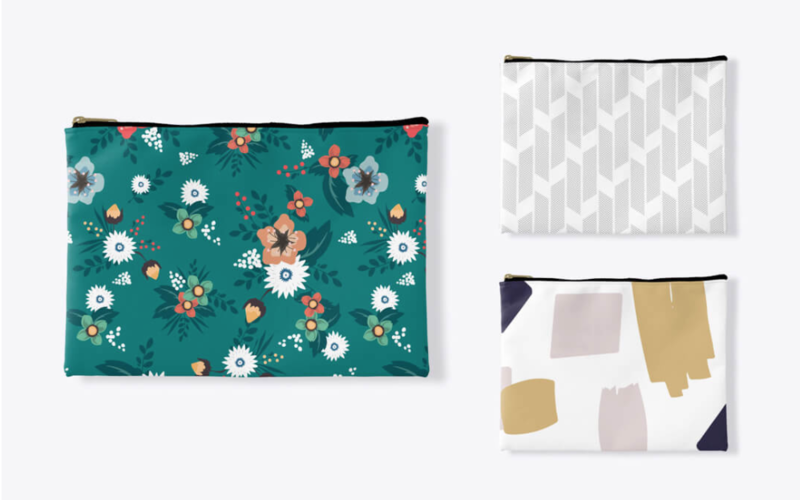 As part of our selection of bags, accessory pouches feature double-sided print and are made of a combination of spun polyester with a laminate interior. This product is often used as pencil cases, makeup carriers, or travel pouches. We recommend pricing this item from $17.99 – $19.99. We offer 2 size options: 8.5” x 6” and 12.5” x 8.5”. Keep in mind these products make great personalized gifts, especially for Valentine’s Day! We’ve added a variety of new home decor products this past year with shower curtains and comforters being the newest. While product materials vary, each item boasts a $10.00 minimum profit margin if sold at our recommended selling price. 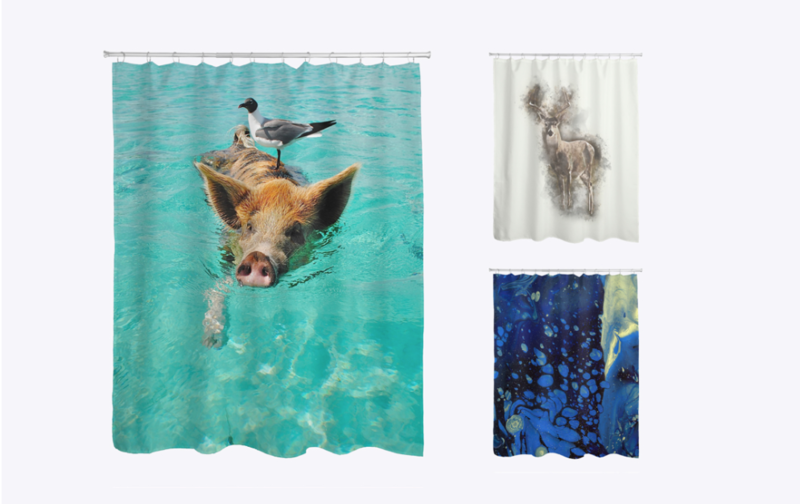 Fleece blankets, wall tapestries, beach towels, posters, and canvas prints are currently available to ALL sellers in the Teespring Launcher. Once you unlock the new product you’ll have access to shower curtains and comforters too. 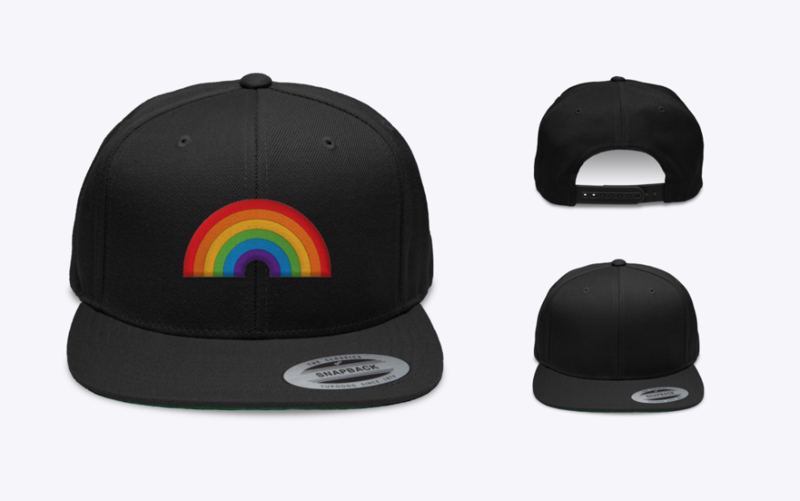 As one of our most requested products, it’s no surprise hat sales skyrocketed soon after becoming available. Currently, we have four different hat options to choose from—dad hats, snapbacks, trucker hats, and beanies. While materials vary between each product, all hats feature embroidered designs and are made from ethically sourced materials. Did you know you can add a custom design to one or both sleeves on your hoodies, sweatshirts, long sleeve tees, or short sleeve t-shirts? Keep in mind sleeve prints add an additional $3.00 per sleeve, so make sure to increase your selling price accordingly! Creating these new products is easy. You can check out Teespring’s YouTube channel for video guides. 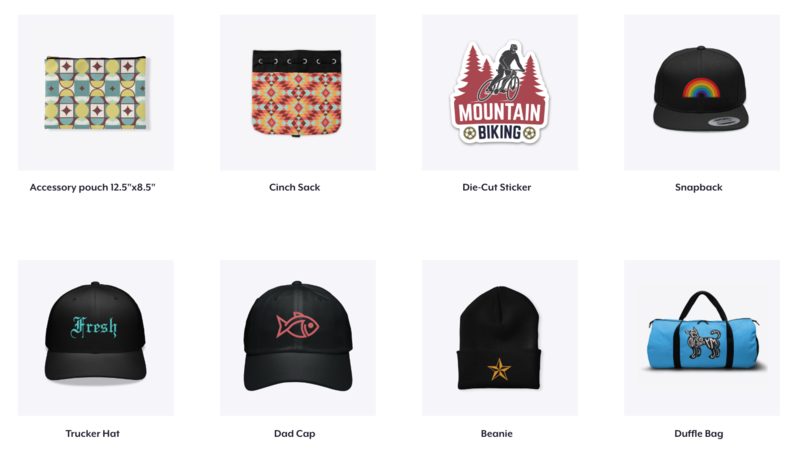 Once you’ve unlocked the new products you can access them through the Teespring Launcher. After selecting the product icon, you’ll be prompted to fill out a form. Depending on the product, you might be asked to create a listing for us to add the product to or we’ll create a new listing for you. Every single one of these new products requires a specific design template, so make sure to download this asset from the form first. If your request is rejected, we’ll send you an email with more info and ask you to submit a new request. We aim to process all requests within 24 – 48 business hours. Once your listing has been updated, we’ll notify you via email. P.S. I have never wanted anything more than to be able to use my artwork to cover the entire surface of the new allover teeshirts prints.I am praying for you to find a way to use smaller file sizes. I sell many license plates & key chains on Zazzle. You should consider the products. Hey Al, that’s a great idea! Thanks for sharing, I’ll pass it along to our team. I am close to completion of my new business,was wondering if you had polo shirts that my employees could ware, and, promote the Company?? Hi Elizabeth, currently we do not offer polo shirts. Thanks for the suggestion, we’ll pass it along to the team! Hey Rakai, joggers are coming soon in early 2019! What about patches?!?! That would be a big seller for me. Hey Jon, that’s a great idea! I’ll pass this along to our team. Thanks for your input! Why am I not able to make hats or the other things shown there. Hey Brandon, some of our newest product options are being added on a case-by-case basis contingent upon seller’s trust score and past sales. If you don’t see hats or all-over print tees for example, you haven’t been granted access just yet. I want to sell my t-shirt. Hey Jessica, yes! We do offer kid’s tees in the Teespring launcher. I hope crop tops will be an option soon! I would love wine glasses to be added! Great idea La La! We’ll pass this along to the team, but in the meantime you can request this item using TeespringGo. I would love to see a mug option that wrapped the mug with a single image. I there a beta test that we can be added to. Hey AD, we’re adding sellers on a case-by-case basis based on your current sales and Teespring trust score. What about shirts for dogs?? Hey Colt, great idea! Some of our sellers have used kids’ tees on their animals. We’re definitely looking on adding this product to the Teespring Launcher shortly. Is there a place where I can request features to be added to the launcher and to the storefront editor? Hi Omer, commenting on our posts or e-mailing seller support is a great way to give feedback! 3/4 length baseball tees would be a great add. That’s a great idea Ryan! I’ll pass this along to our team. My fractals suit an all-over print and I had to look at other sites to offer these items. To be able to include them here would be fantastic.